Indian Air Force Recruitment 2018 - Multi Tasking Staff Posts. Indian Air Force Recruitment 2018, Indian Air Force (IAF) Has Invited Application Form For Various Posts. 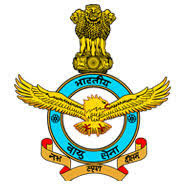 All Eligible Candidates Are Required To check Eligibility details for Indian Air Force Official Notification and Apply before 30 Days from the Date of Publication. More details of Indian Air Force Jobs 2018 like Qualification & Eligibility conditions or how to apply are given below. Pay Scale : Rs. 18,000/- Per Month. Selection Process : Test/ Interview. How To Apply : All Interested candidates may apply in Prescribed Application form along with all documents in support of Education Qualification, Age, Domicile certificate, experience and caste certificate etc. & Self addressed envelopes with stamp of Rs. 5-/ pasted send to Concerted addressed as per notifications on or before 30 Days from the Date of Publication. Last Date : 30 Days from the Date of Publication. Are you 12th Pass or Graduate, Get a job with 2.8 Lakhs Salary Package – Register Now. Candidates may go through this Official Notification to get other relevant details about Indian Air Force Recruitment 2018. Stay in touch with us to get latest Updates for more information On Indian Air Force. Hope Our Readers are able to get all Important Details about Indian Air Force Recruitment 2018. Aspirants Can Comment us their related query below. Our Team Member will reply you as soon as Possible.